In order to define working hours it is necessary to define rules. 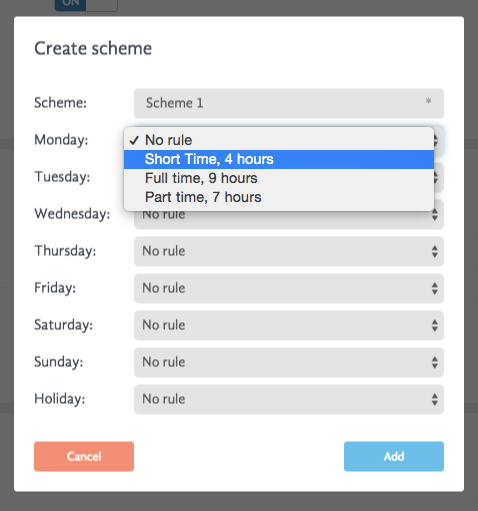 After createing rules it is possible to assign scheme to employees. In the picture we can see an example where there are different rules created related to short, part and full time. The administrator can define the duration of a work day for each employee selecting one of the rules for a specific day. In this case, for example, an employee can work full time on Monday, Tuesday and Thursday, while on Wednesday and Friday he can work part time.